This article discusses organizing styles in React Native within components. 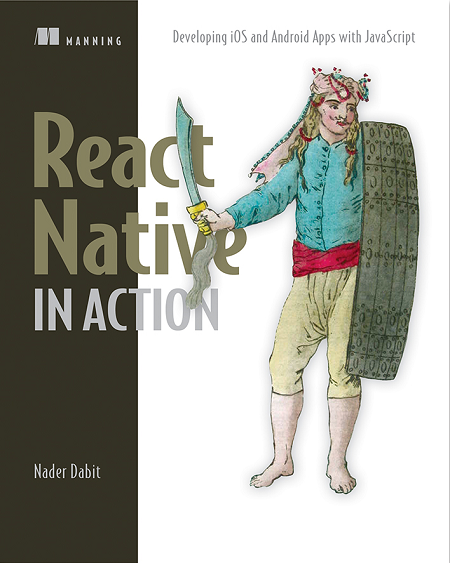 Save 37% on React Native in Action. Just enter code fccdabit into the discount code box at checkout at manning.com. React Native comes with many built-in components, and the community has built many more which you can include with your projects. Each component supports a specific set of styles. Those styles may be applicable to other types of components. For example, the Text component supports the fontWeight property (fontWeight refers to the thickness of the font). Conversely, the View component supports the flex property (flex refers to the layout of components within a View). Some styling elements are similar between components but not exactly the same. For example, the View component supports the shadowColor property, whereas the Text component supports the textShadowColor property. Some styles, like shadowPropTypesIOS, only apply to a specific platform. Learning the various styles and how to manipulate them takes time. This is why it’s important to start with fundamentals like how to apply and organize styles. This section focuses on teaching those styling fundamentals, to provide you with a good foundation from which you can start exploring styles and building our example Profile Card component. For a solid reference on how to make your mobile apps usable, see Matt Lacey’s Usability Matters. To compete in the marketplace, mobile applications need a sense of style. You can develop a fully functional app, but if it looks terrible and isn’t engaging, people aren’t going to be interested. You don’t need to build the hottest looking app in the world, but you must commit to creating a polished product. A polished, sharp-looking app greatly influences people’s perception of the app’s quality. You can apply styles to elements in React Native in a number of ways. Two common options are to use inline styling (listing 1) and styling using a StyleSheet (listing 2). ❶ An inline style applied to a React Native component. As you can see in listing 2, it’s possible to specify multiple styles at once by supplying an object to the styles property. ❶ Referencing the container style defined within the styles stylesheet. Functionally, there’s no difference between using an inline style versus referencing a style defined within a StyleSheet. With StyleSheet, you create a style object and refer to each style individually. Separating the styles from the render method makes the code easier to understand and promotes reuse of styles across components. When using a style name like warning, it’s easy to recognize the intent of the message. An inline style which is color: 'red' offers no insight into why the message is red. Having styles specified in one place rather than inline on many components makes it easier to apply changes across the entire application. Imagine that we wanted to change warning messages to yellow. All we need to do is change the style definition once in the stylesheet, color: 'yellow'. React Native is flexible in this regard, which can be both good and bad. Specifying inline styles when you’re quickly trying to prototype something is extremely easy, but in the long haul, you’ll want to be careful how you organize your styles; otherwise your application can quickly become a mess and difficult to manage. experiment with styling changes during development. As you might suspect from the previous section, using inline styles isn’t the recommended way to go: stylesheets are a much more effective way to manage styles. But what does that mean in practice? When styling web sites, we use stylesheets all the time. Quite often we use tools like Sass, Less, and PostCSS to create monolithic stylesheets for our entire application. In the world of the web, our styles are global, but that isn’t the React Native way. React Native focuses on the component. The goal is to make components as reusable and standalone as possible. Having a component dependent upon an application’s stylesheet is the antithesis of modularity. In React Native, styles are scoped to the component – not to the application. declaring stylesheets in a separate file, outside of the component. A popular way to declare styles is within the component that uses them. The major benefit of this is that the component and its styles are completely encapsulated within a single file. This component can then be moved or used anywhere in the app. This is a common approach to component design, one that you see often within the React (Native) community. When including the stylesheet definitions with the component, the typical convention is to specify the styles after the component. 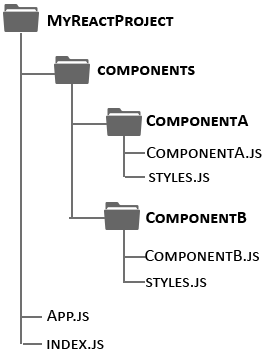 Figure 1 An example file structure with styles separated from components into a single folder instead of a single file. A file structure like figure 1 retains the close relationship between components and styles, and affords a bit of clarity by not mixing style definitions in with the functional aspects of the components. Listing 3 corresponds to a styles.js file which is used to style a component like ComponentA and ComponentB above. ❶ Creating a stylesheet and saving it in the styles constant. Try to make the constant names meaningful. In this case, styles represent the general styles used by the component. The next constant’s named buttons, because it defines styles used by buttons in the component. ❷ Defining a style for the container. It can be referenced by the component as styles.container. ❸ Creating a second stylesheet and saving it in the buttons constant. ❹ Defining a style for the primary button. It can be referenced by the component as buttons.primary. ❺ Exporting both the styles and buttons stylesheets, to endure that the component has access to the constants. The component imports the external stylesheets and can reference any styles defined within them. Web developers have fought with CSS for years. Entirely new technologies like Sass, Less, and PostCSS were created to work around the many limitations of cascading stylesheets. Even something like defining a variable to store the primary color of a site was impossible without CSS preprocessors. The CSS Custom Properties for Cascading Variables Module Level 1 candidate recommendation in December, 2015 introduced the concept of custom properties, which are akin to variables, but as I write this, fewer than 80% of browsers in use support this functionality. The application has a single button on the screen. That button is enclosed by a small square box. When the button is pressed, the themes toggle. When the light theme is selected, the button label says WHITE, the background is white, and the box around the button is black. When the dark theme is selected, the button label is BLACK, the background is black, and the box around the button is white. Look at Figure 2 to see what the screen should look like when the themes are selected. Figure 2 A simple application that supports two themes, white and black. Users can click the button to toggle between a white background and a black background. For this example, let’s organize our styles into a separate file, styles.js. Then, let’s create some constants to hold our color values, and create two stylesheets for the light and dark themes. ❶ A constant defining the colors that corresponds to our light and dark themes. If we wanted to change our theme colors, we only need to change them in one spot! ❼ Return the dark theme if useDarkTheme is true, otherwise return the light theme. Once the styles are configured, we can start building our component App. Because we only have a light and dark theme, we created a utility function, getStyleSheet, which takes a Boolean value. If true is supplied, the dark theme is returned, otherwise the light theme is returned. ❷ Initialize our component’s state to show the light theme by default. ❸ Bind the toggleTheme function to the component. Without binding the function to the component, this is undefined, and you’ll get exceptions when trying to run the code. ❹ Toggle the theme value in state whenever the function’s called. ❺ Use our imported getStyleSheet function to get the appropriate stylesheet for whatever theme should be displayed. ❿ When the button’s pressed, call the toggleTheme function to alternate from one theme to another. Now that you have an application that toggles themes, feel free to experiment and take it a bit further. Try changing the light theme to a different color. You’ll notice how easy it is because the colors are defined as constants in one place. Try changing the button label in the dark theme to be the same color as the background instead of always white. Try creating an entirely new theme, or modify the code to support many different themes instead of only two – have fun! If you’re interested in learning more about the book, check it out on liveBook here and see this slide deck.